One of the most criminally forgotten mystery writers ever is Christianna Brand. Brand was a supreme talent, who perfectly fused complex puzzle-oriented mystery with strong characterization. With her novels, it isn’t simply about this evening’s eccentric detective, rolling the dice to figure out the murderer, or anything of the sort. Brand could create likeable, believable characters the reader comes to know closely, feeling sympathy for both the innocent and the guilty, and as a result, her books often have depressing endings. 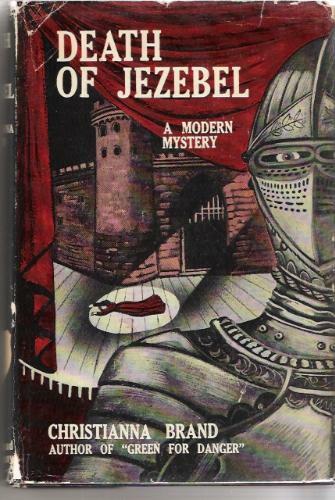 Take Death of Jezebel, for instance, one of Brand’s most highly-praised works (and also a very hard one to find!). The story opens in 1940 as a nice young man named Johnny Wise discovers his girlfriend Perpetua Kirk with another man, Earl Anderson—this is cruelly unveiled to him by a rather sadistic woman, Isabel Drew. Stricken with grief, Johnny commits suicide. Brand brings together two detectives to unravel this case. The first is Inspector Charlesworth, who starred in Brand’s first novel, Death in High Heels, and apparently one more. I have yet to read either. The second is her more regular detective, Inspector Cockrill, who is the main detective in this book. Together they investigate the crime, coming up with a few theories to explain the impossibility, and it seems like each time they’ve got a plausible explanation, Brand purposely blows it sky-high. Brand is at the top of her form here. She doesn’t linger in character angst, but she puts you through the individual struggles of her characters quite effectively nonetheless. She has a very clever impossible situation and she offers a few false solutions. 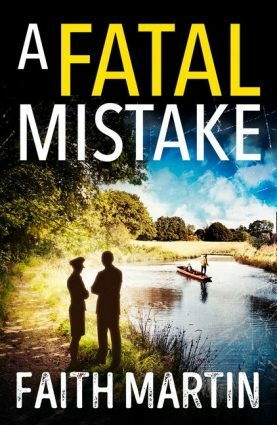 The story is laced with a sense of humour which pops up from time to time—this is a dark work, after all, but that doesn’t entirely banish humour from the proceedings. Overall, the book is wonderful—at the very least, it is just as good as, if not better than, Green for Danger, another of her masterpieces. However, Death of Jezebel has one very distinct advantage over Green for Danger, and that is the character of Inspector Cockrill (“Cockie”). He becomes his own character in this novel, while he was a relatively nondescript character in the past. Here he is shown as a man who, in the eyes of the youth-obsessed world, is far too old to be hanging around anymore, but he’s still got some fight left in him, and by gum, he isn’t going to give up. You get to share not only the suspects’ emotions, but you’re shown Cockie’s insecurities as well, and overall, this invests your attention in the book even more. What more can I say? Brand does everything right and really outperforms herself. This is a wonderful book, certainly a candidate as one of the all-time mystery classics. I was lucky enough to find it on Interlibrary Loan, but when I get the chance, I will track down a copy and buy Death of Jezebel, which will then be guaranteed a permanent spot on my shelf. It is worth every penny spent on the effort. Oh, the cover of this edition is a lot better than the one I have, and I love that it says a modern mystery – yeah, if only! I do have to correct you on one thing though. You said that Brand is a criminally forgotten mystery writer, but by today's mainstream standards every classic detective writer not named Christie or Doyle (and to some lesser extent Sayers, Allingham, Marsh and Stout) are all-but-forgotten names. However, within the genre she's still well-known and highly regarded. Heck, there are even a handful of her books in print at the moment, which is more than most of her contemporaries can say. You have a point, but at the same time, Robert van Gulik is still in print and you hardly ever hear of *him*... In print does not necessarily mean unforgotten- and by the way, this is the first I heard of Brand still being in print! Where? I have Death in High Heels sitting on my shelf, although the rear cover was for some reason sliced in half, and only one half remains... I'll get around to it sometime... I hope. I wasn't arguing that the fact that she's still in print goes right into the face of your opening statement, it's just that the label "criminally forgotten" doesn't really apply to her. Not as well known, as she deserves to be? Definitely! But forgotten? Eh, no. Two years ago, Faber and Faber (a British publisher) republished Heads, You Loose and Cat and Mouse, and there are still two older reprint editions available of Green for Danger and Tour de Force. C&L also published a short story collection of her, many years ago, but I don't know if that book is still in print (I have to find out if I still can get my hands on it!). From what I can discern, Van Gulik is the exact opposite of Brand. He's still very well known in his own circles (scholars and fans of historical fiction), but the regular mystery reader seems to have forgotten him or at least lost a great deal of interest in his stories. Oh, and I still have to review that short story collection of Aafjes in the very near future. Allow me to try and explain better. What I meant was she was so wonderful that to have her forgotten in the mainstream field that now adores P.D. James is practically criminal.